THE must-see movie of the year is now also the highest grossing after a mammoth opening weekend. Marvel's Avengers: Infinity War earned $630 million in its first weekend ($A83l million), the biggest ever global opening. It's a significant increase on the $530m taken in by The Fate of the Furious last year. The culmination of a decade of Marvel blockbusters, Infinity War assembled of the biggest casts in movie history and, as expected, Marvel fans flocked to cinemas to see them battle the galactic villain Thanos. 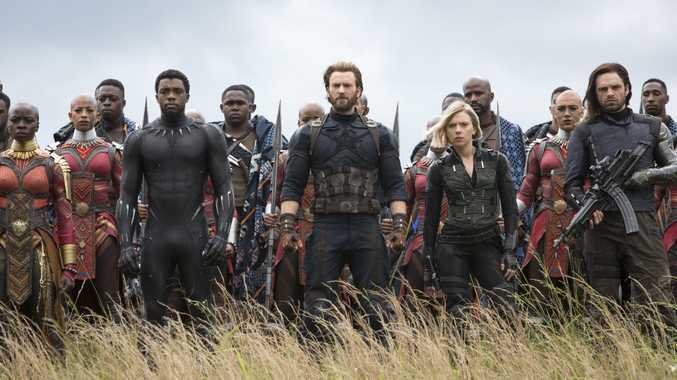 After five days in Australian cinemas, opening one day earlier than usual on the Anzac Day public holiday, Infinity War took in $30m. It also overtook Star Wars: The Force Awakens as the largest ever opening weekend in the US, hauling in $250m domestically. Perhaps most impressive is that the records were broken without the help of the sizeable Chinese market, where the film opens on May 11. Breaking Crews are at the scene of a house fire in Torbanlea.